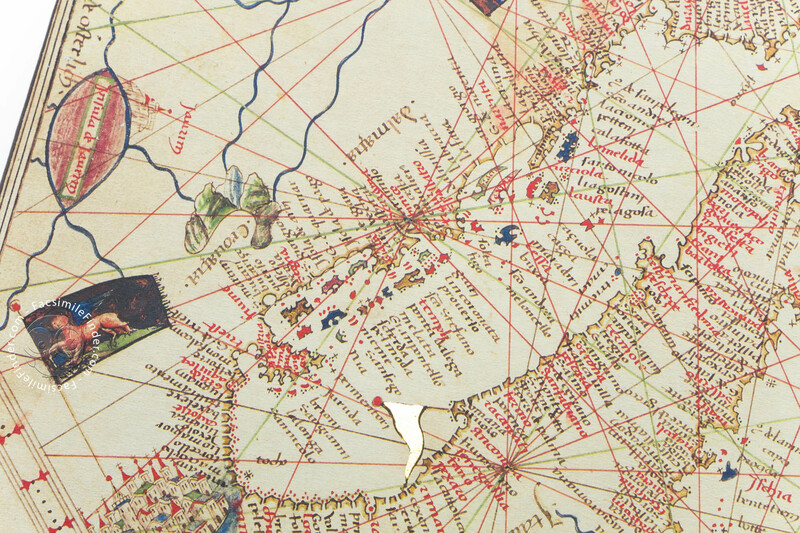 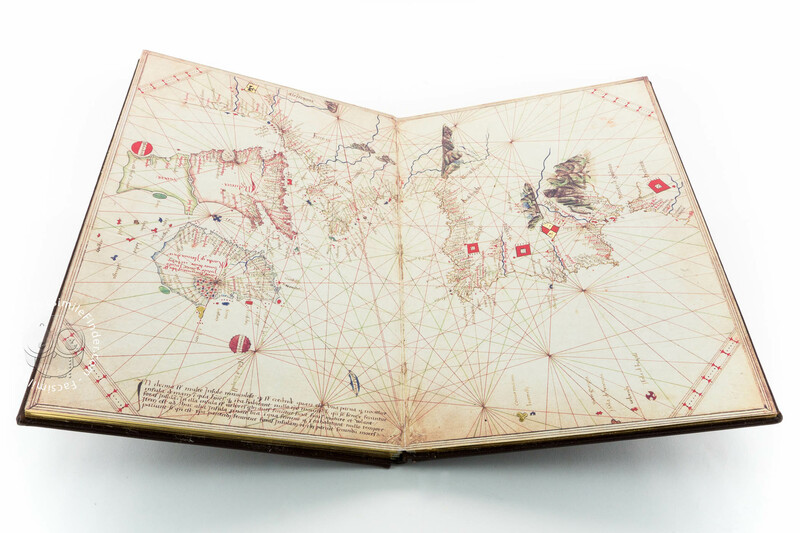 Andrea Benincasa’s Atlas can be viewed as one of the last great works before the dawn of ‘new cartography’ borne out of the Age of Discovery. 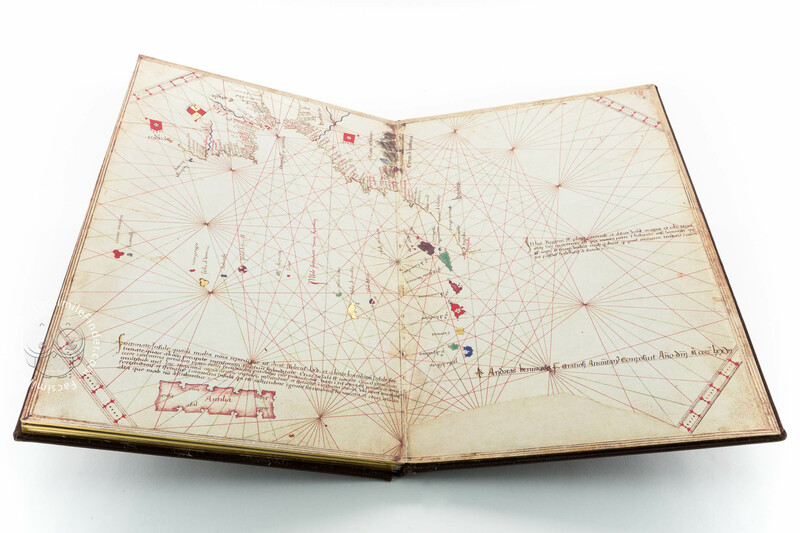 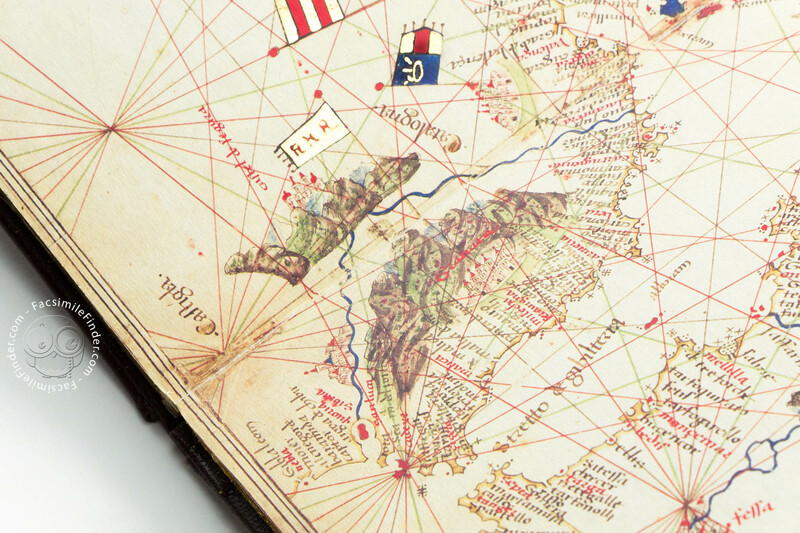 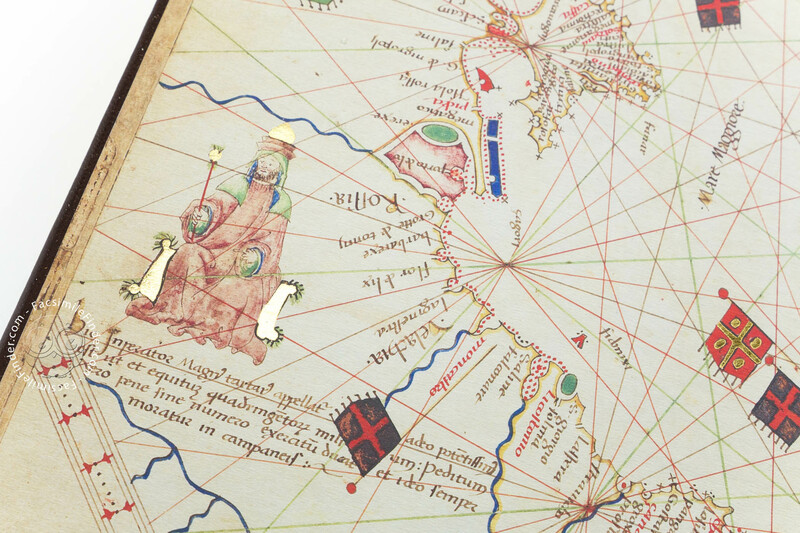 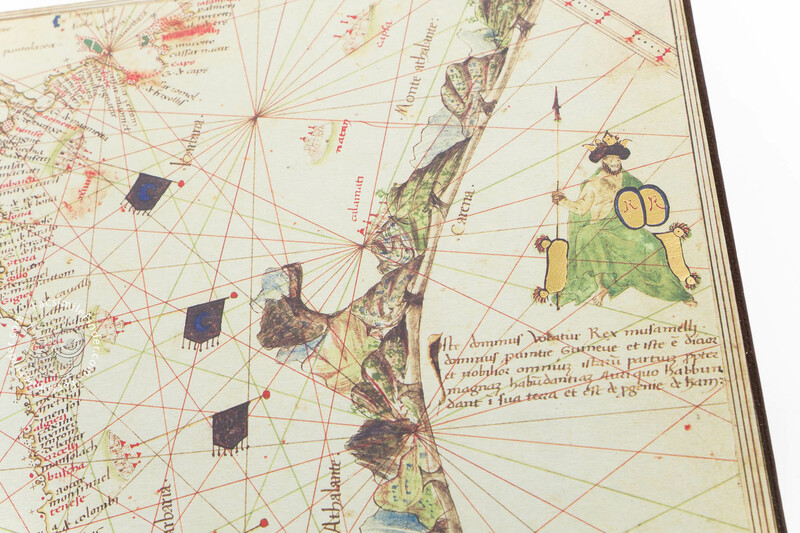 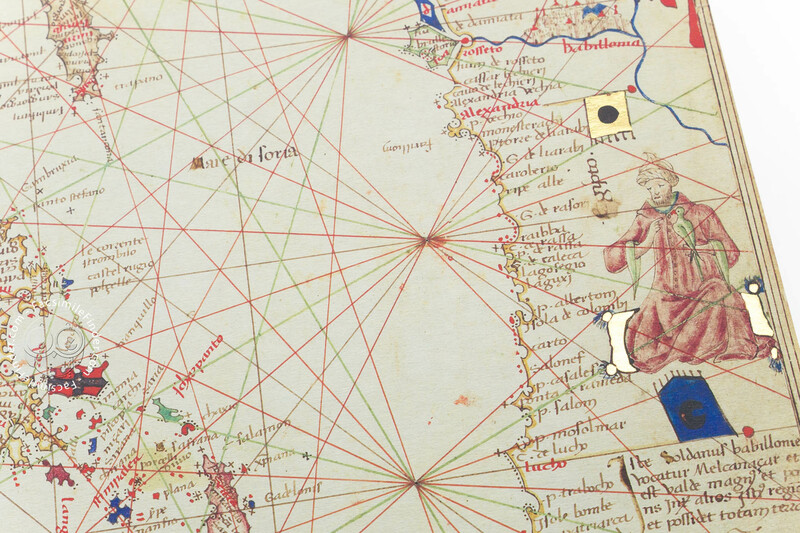 Portuguese voyages along the coast of West Africa had begun a generation earlier, but its policy of secrecy regarding maps meant that charts reflecting these latest discoveries generally were not available until the late 15th century. 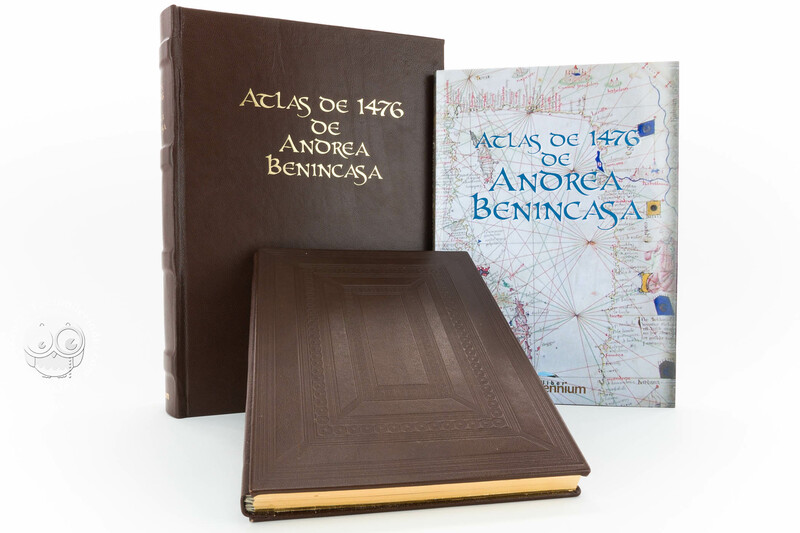 Andrea Benincasa’s Atlas was a veritable cartographic treasure, as it was so painstakingly drawn and was bound in elegantly crafted leather covers. 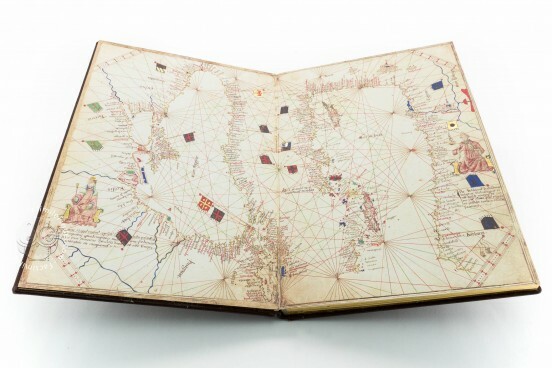 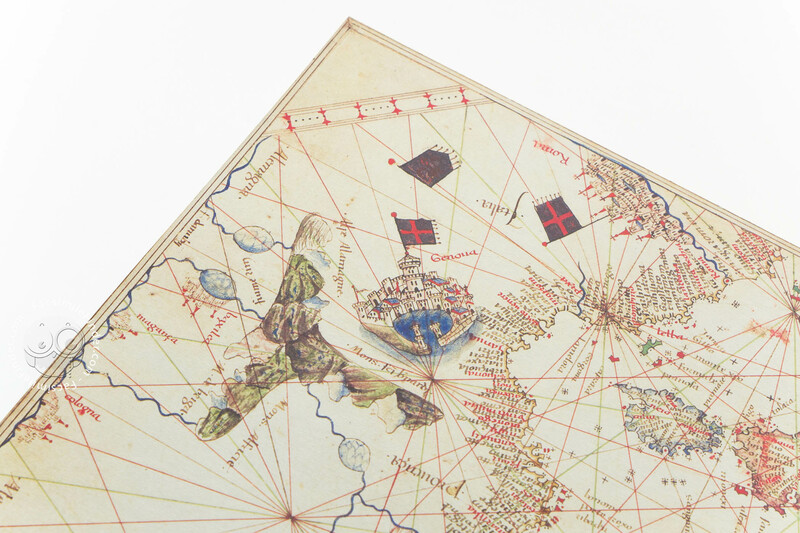 The book opens to reveal five large-scale charts and maps measuring 29 x 41 centimetres, and providing rich details presented in the typical manner of 15th century atlases. 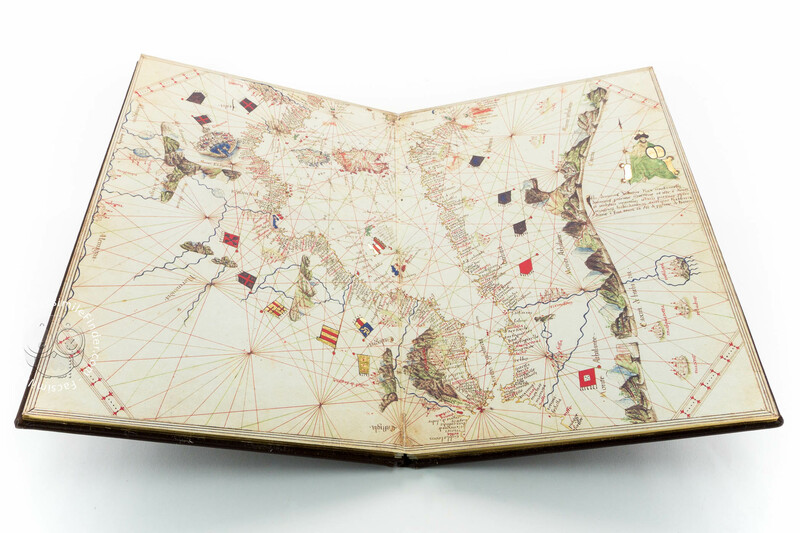 Full-size color reproduction of the entire original document, Atlas of Andrea Benincasa: the facsimile attempts to replicate the look-and-feel and physical features of the original document; pages are trimmed according to the original format; the binding might not be consistent with the current document binding. 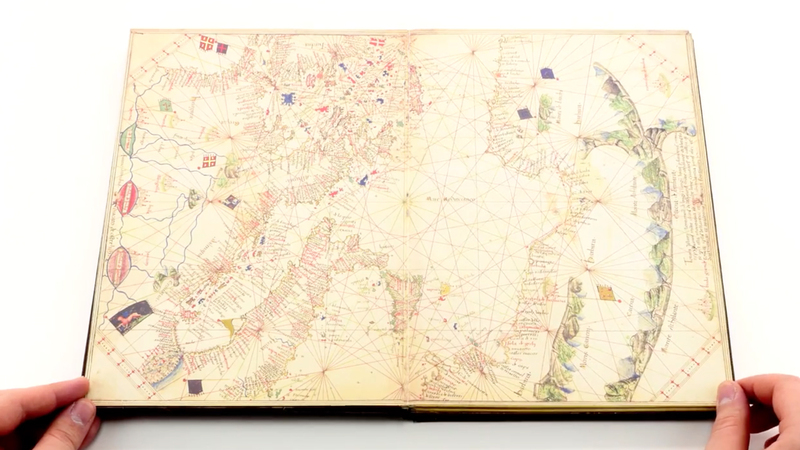 Special aged parchment-like paper collated, folded and bound by hand and presented in an elegant case. 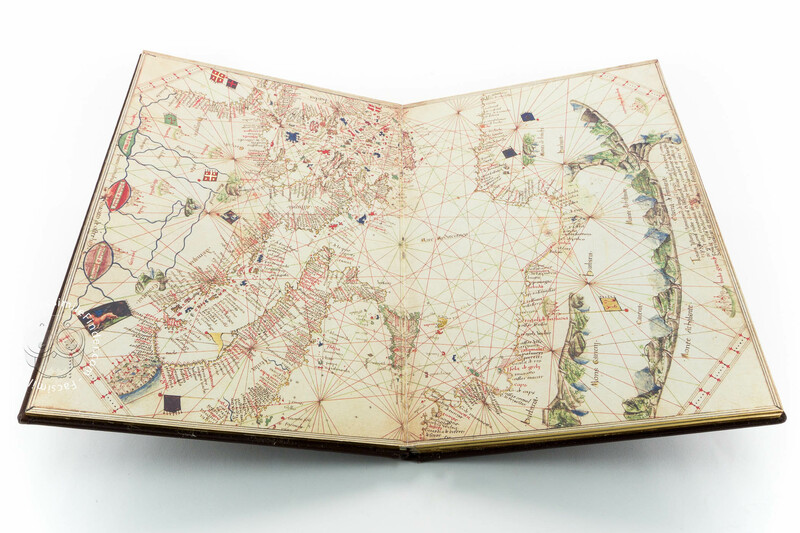 Study book containing an analysis of the atlas and also of the sequence of its restoration. Bound in leather over board.